VIETNAMESE MEDIC ULTRASOUND: CASE 404: ECTOPIC TESTIS TUMOR, Dr PHAN THANH HẢI- Dr NGUYỄN PHÚ HỮU, MEDIC MEDICAL CENTER, HCMC, VIETNAM. 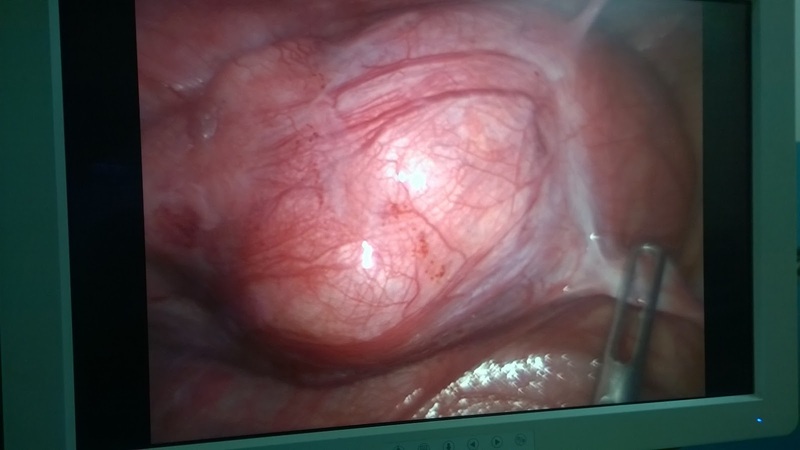 CASE 404: ECTOPIC TESTIS TUMOR, Dr PHAN THANH HẢI- Dr NGUYỄN PHÚ HỮU, MEDIC MEDICAL CENTER, HCMC, VIETNAM. 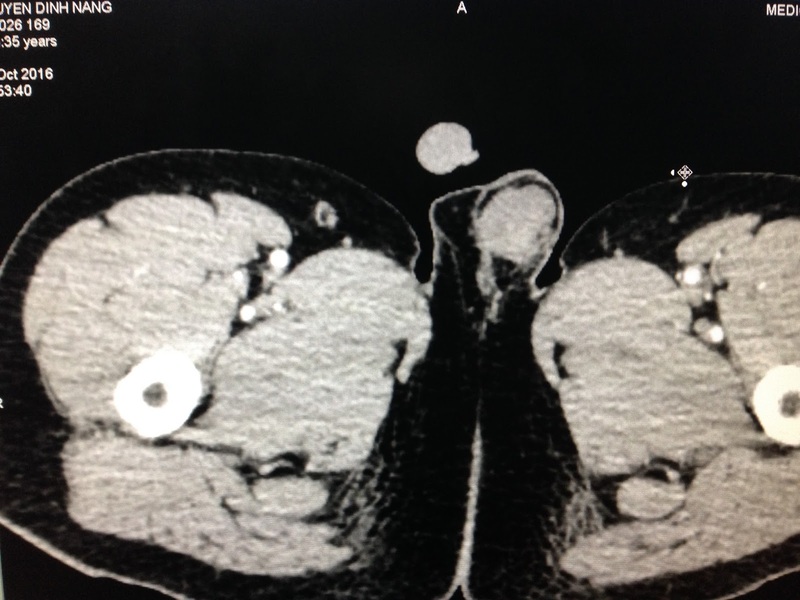 Man 35 yo with pain at RLQ. 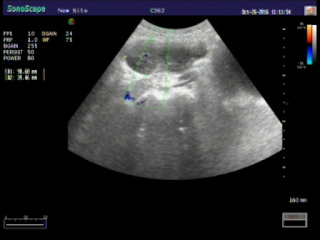 Ultrasound of abdomen detected one hypoechoic mass retrocoecum ( US 1) which was suspected an abscess. Blood tests = normal WBC and CRP. MSCT reported this ellypsoid mass with size of 5 cm, retroperitoneum, pull up the coecum, and MSCT with CE for rule out an abscess. 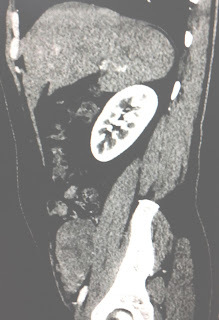 (CT1: cross section, CT 2 sagital. CT 3 scrotum section not detected right testis. 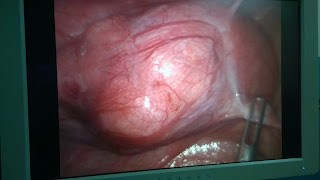 Pre operative surgeon suggested right ectopic testis tumor. 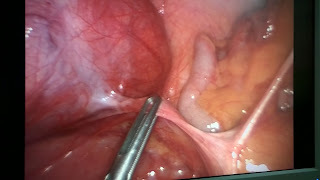 Endolaparoperation detected the coecum was pulled up ( ope 1, 2 ). 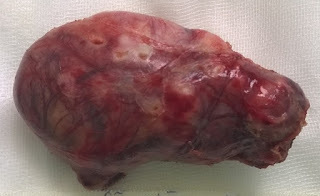 Ope 3=tumor is retro peritoneum. 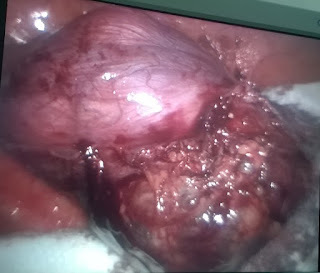 Macroscopic removing this tumor which is ectopic testis. 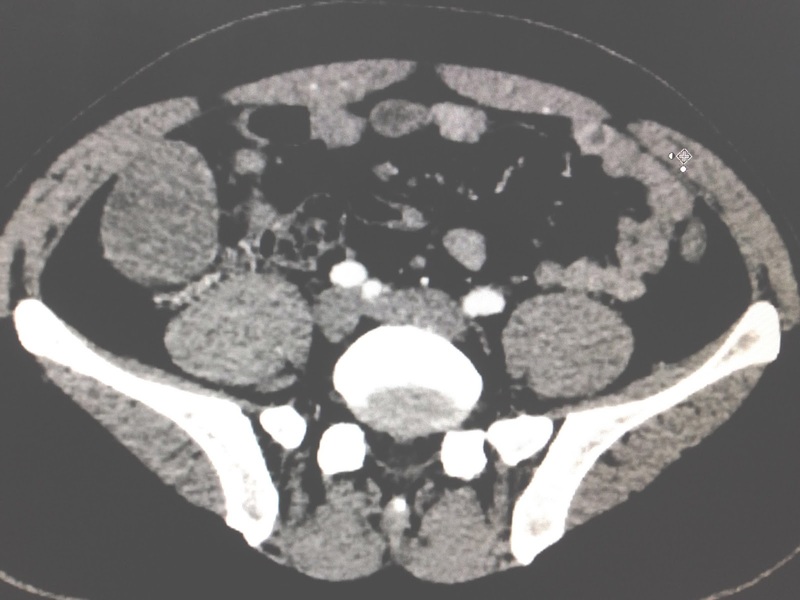 COMMENT: For men once ultrasound detected a hypoechoic mass in retroperitoneum at pelvis that has to verify ectopic testis, and if it is hypoechoic like the cyst, the nature of testis tumor may belong lymphoma or seminoma.